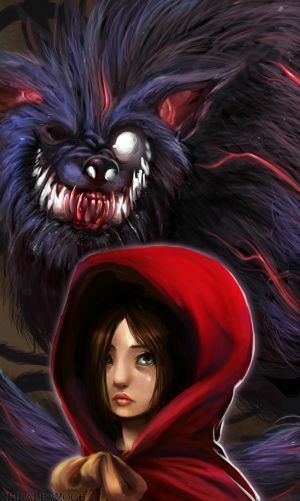 Auriea has posted an example of one unorthodox version of Red Ridinghood on the Tale of Tales blog. I'd like to share another one that I found particularly interesting. 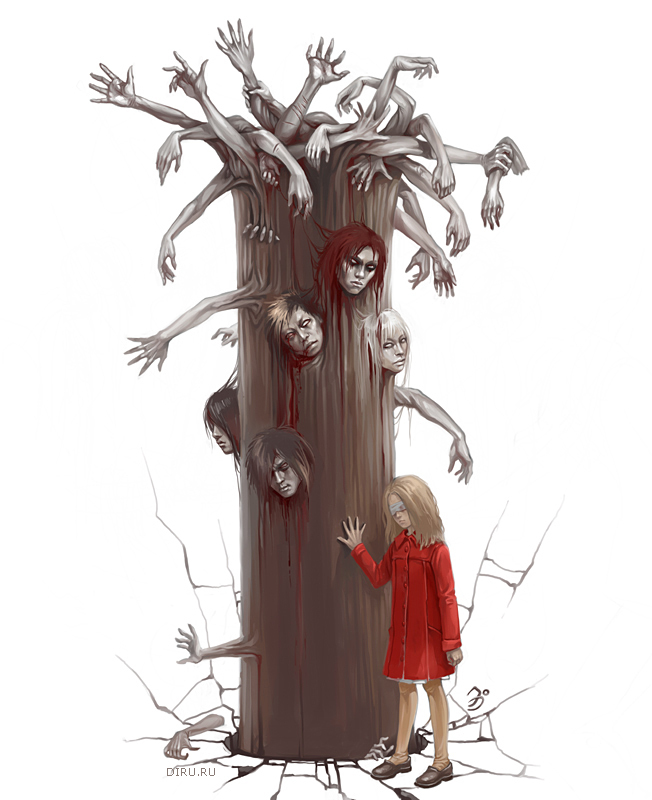 It's a digital painting called Red Riding Hood- Reimagined. Very thought-provoking in terms of possibilities for an interactive version, not just for this story but in general. I guess we could use this thread to share fairy tale variations, either of Red Ridinghood or others. That's a nice one. I have a whole collection of variations on the fairy tale concept in a local refference folder. But most don't have credits so I don't like to post them. It's fashion photography, really, by Eugenio Recuenco. He re-imagined other fairy tales too, here's some pictures. This one is by Sam Weber. i really like that one. i love the way this tale gets remixed! Love slightly-gothic Princess and the Pea. She looks so sassy; a departure from the "so delicate" shbang. The Red Ridinghood picture appeals to me for some unknown reason. Maybe it's the way the huskies are so relaxed and she's so tense? I'm glad you like it, Auriea. I'm glad this thread I started could be useful. Michael, I can understand your reasons for not wanting to post your uncredited inspiration images, but if you want to post them here, I'd love to see them. I think we all know that you're not trying to claim the art as your own! I'll see if I can find any more. This one does not literally refer to Little Red Ridinghood but reminded me of it nonetheless. Edit: Although this isn't a Red Riding Hood (unless you think of it as if she lost her red cape), this might be inspirational for you all: Emily.. Emily.. It's quite typical for modern people to portray Red as a strong female who defeats the wolf. They think they are being subversive when they do this, but in fact they are just being true to the pre-Grimm origins of the tale that feature clever girls who outwit the wolf.